 Van zipper is a light collection developed with the idea to make a a light with a manual effect. 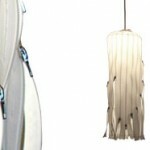 Through the use of zippers as lampshades a „low tech“ dimming effect is created. 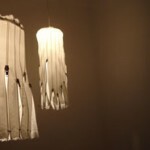 Through the easy way of opening or closing the zippers, according to what lighting atmosphere is desired, they created a beautiful analog way of light manipulation. 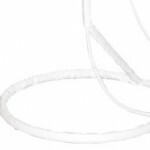 The van zipper comes in different versions, at the moment a freestanding floorlamp 160cm height, 40cm diameter- with the zippers measuring 45cm for the lampshade, a ceiling light with 75cm long zippers and a diameter of 30cm, and a cluster of 3 van zippers with a zipper shade of about 15cm and a diameter of 10cm(this version is specifically designed for energy saving lightbulbs e14). 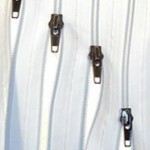 The standard versions of van zipper come in bright white, but obviously they can be custom made upon desired shade.